Hide deals from seller "Panchos Catering"
Limit 1 per person and 1 per table. Valid on 2 taco meals. Each meal includes 3 tacos, refried beans and Spanish rice. Meals must be redeemed during same visit. Sour cream not included. Dine-in only. Promotional value expires 30 days after purchase. Summer is a great time to meet new people, reconnect with old friends and spend time with those we love. Enjoy the last days of summer with a friend when you use this deal for 50% off two taco meals at Panchos Catering in Schaumburg ($12 value). This delicious spread includes tacos, refried beans and Spanish rice that will leave you full and satisfied. Panchos Catering has been serving fresh and authentic Mexican dishes for more than six years. Their talented chef hand-rolls tortillas and uses only USDA-Choice meats. By using only the freshest ingredients, many of which are sourced from local markets, this restaurant ensures your meal is both nutritious and flavorful. Ring in a new season with this zesty deal. 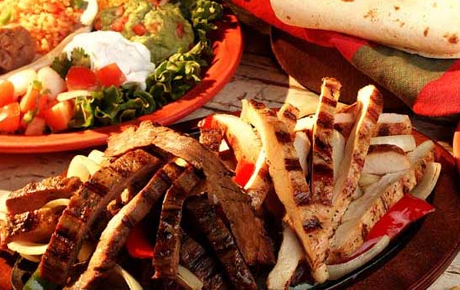 Restaurant and catering service in Schaumburg offering fresh, authentic Mexican dishes.